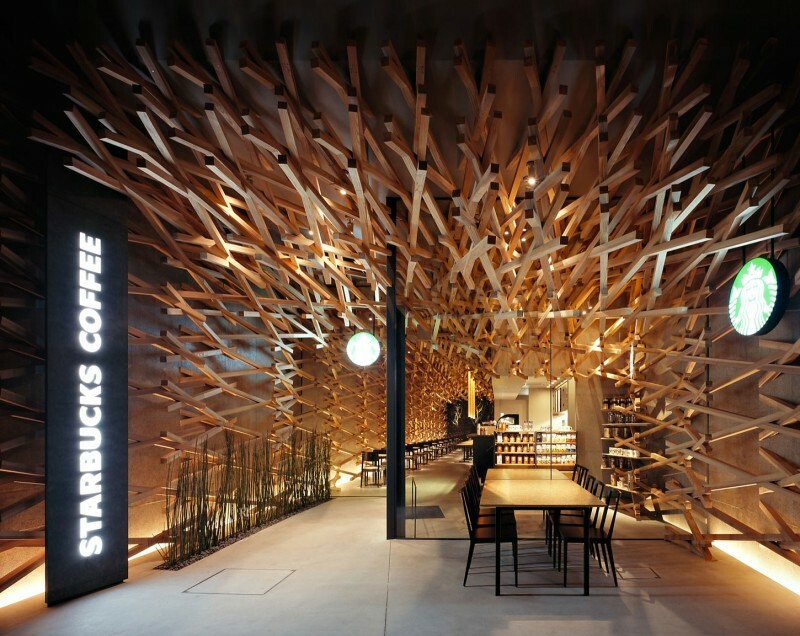 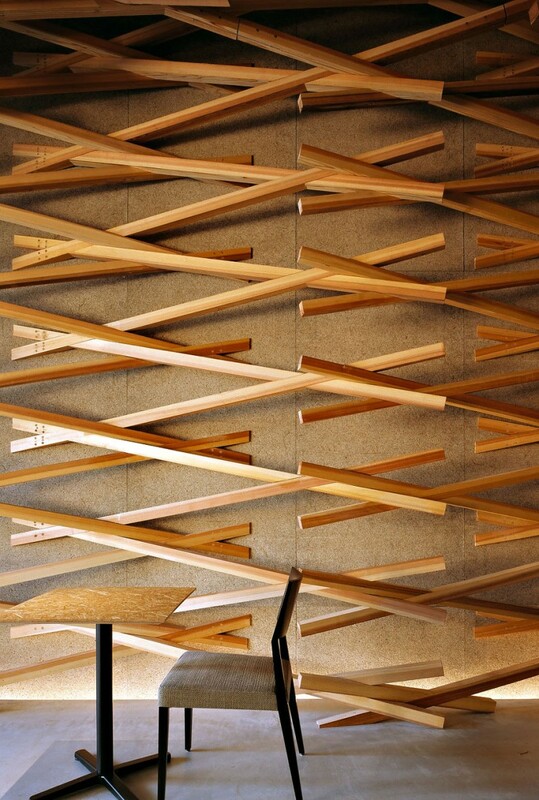 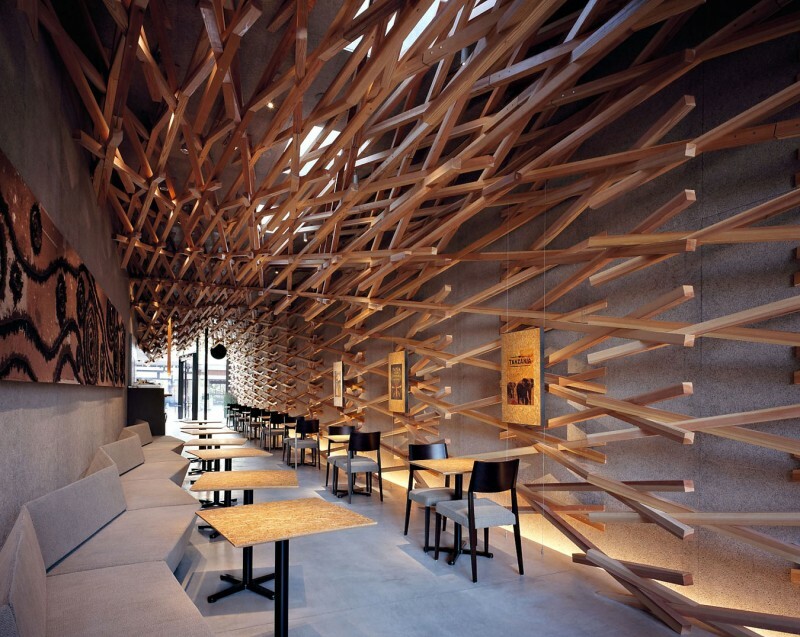 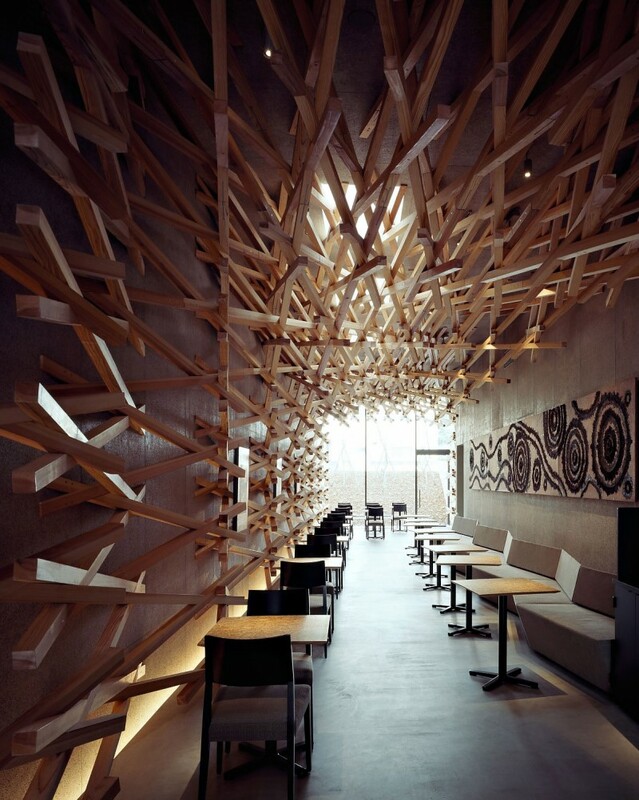 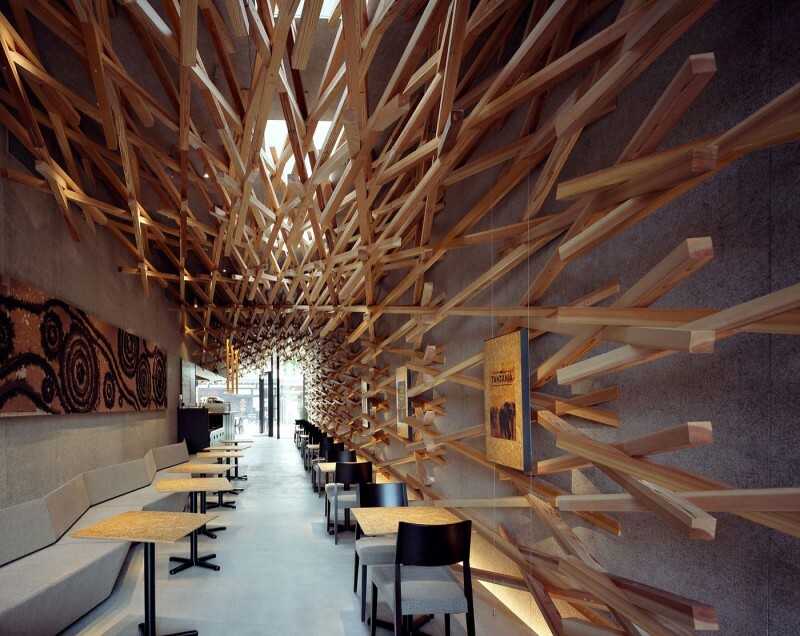 Japanese studio Kengo Kuma and Associates has designed the interior of this Starbucks is located in Fukuoka, the capital city of Fukuoka Prefecture on the island of Kyushu, Japan. 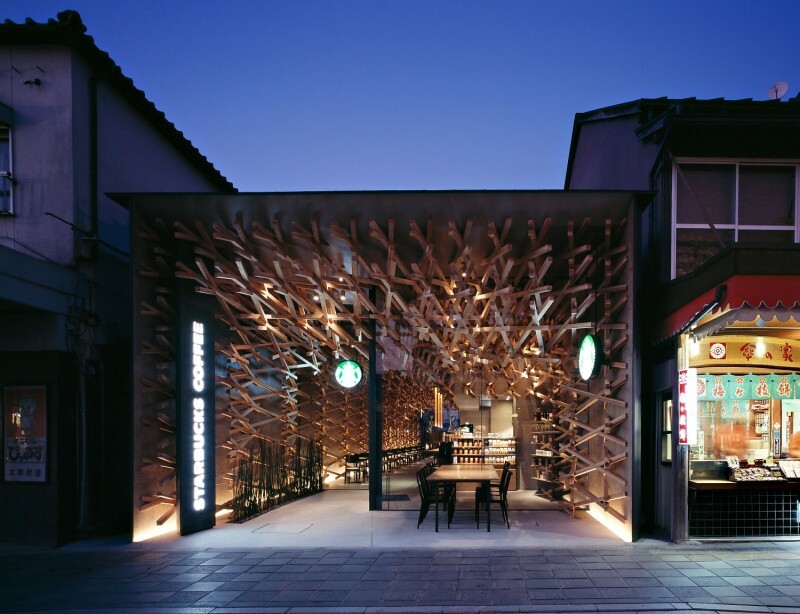 “Location of this Starbucks is somehow characteristic, as it stands on the main approach to the Dazaifu Tenmangu, one of the most major shrines in Japan. 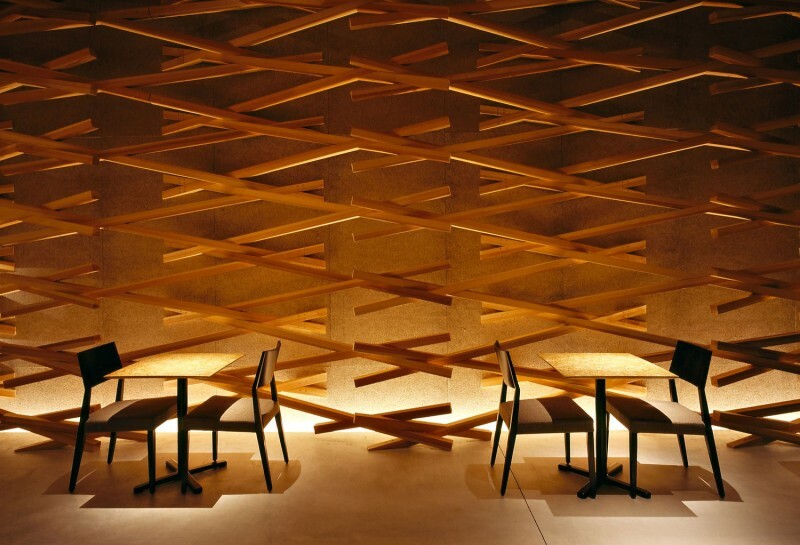 Established in 919 A.D., the shrine has been worshiped as “the God for Examination,” and receives about 2 million visitors a year who wish their success. 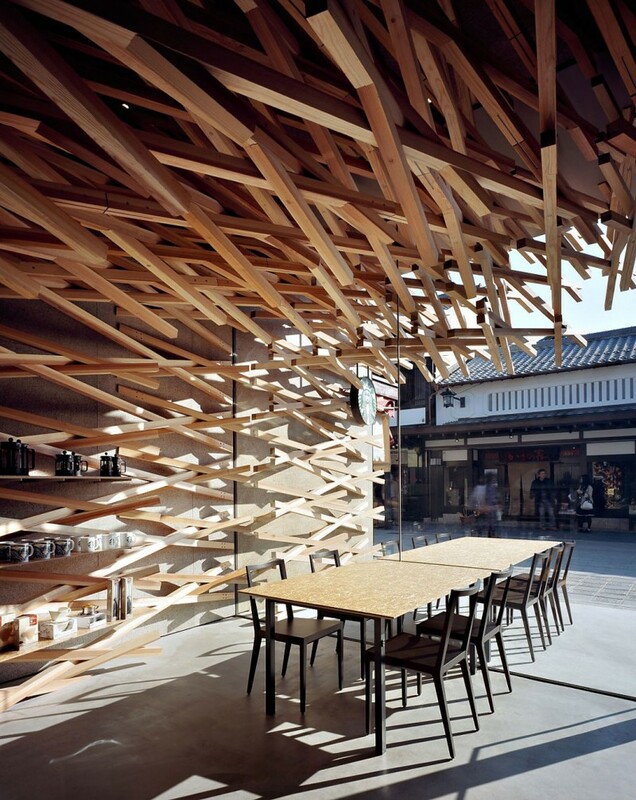 Along the main path to the shrine, there are traditional Japanese buildings in one or two stories. 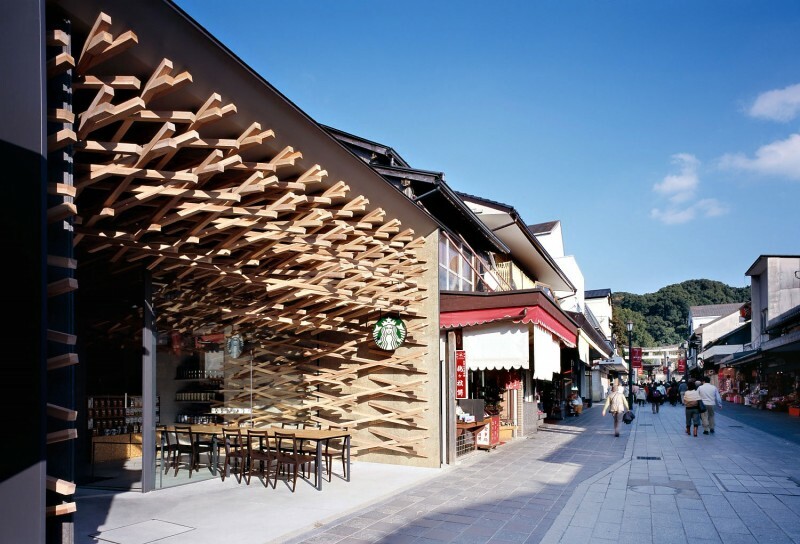 The project aimed to make a structure that harmonizes with such townscape, using a unique system of weaving thin woods diagonally. 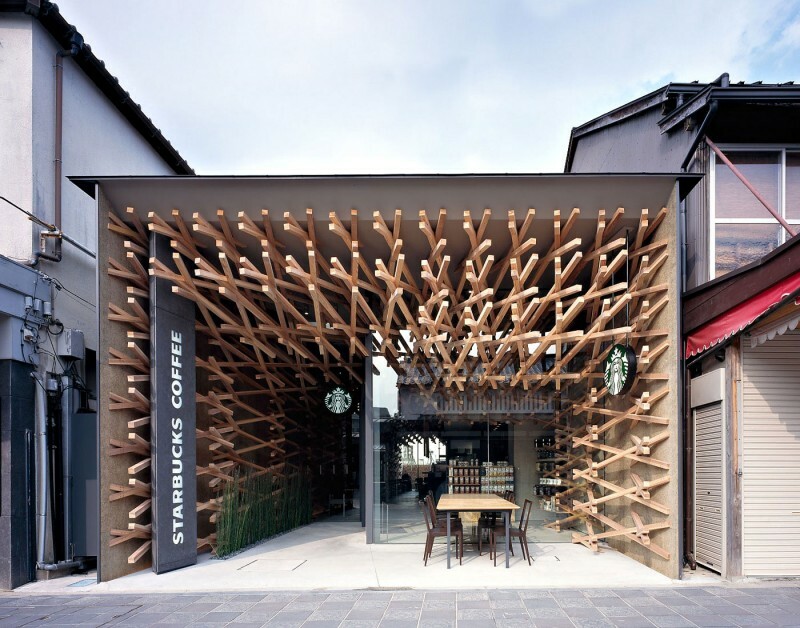 The building is made of 2,000 stick-like parts in the sizes of 1.3m – 4m length and 6cm section. 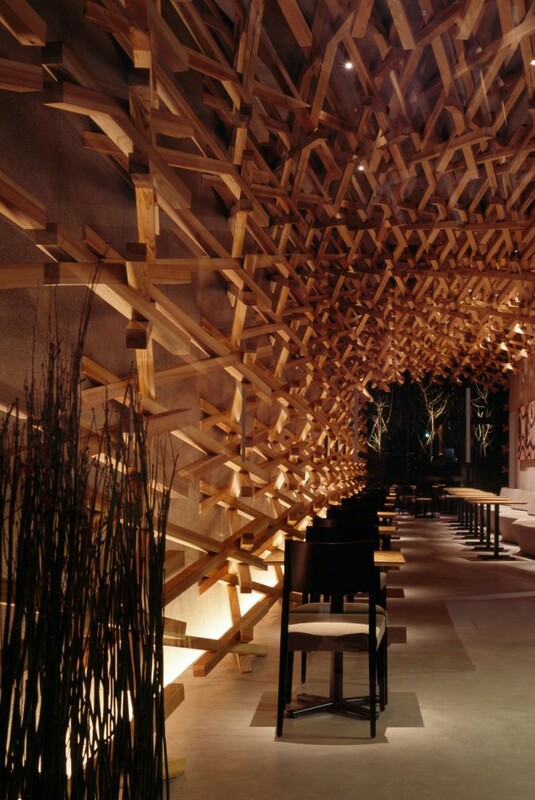 Total length of the sticks reached as far as 4.4km. 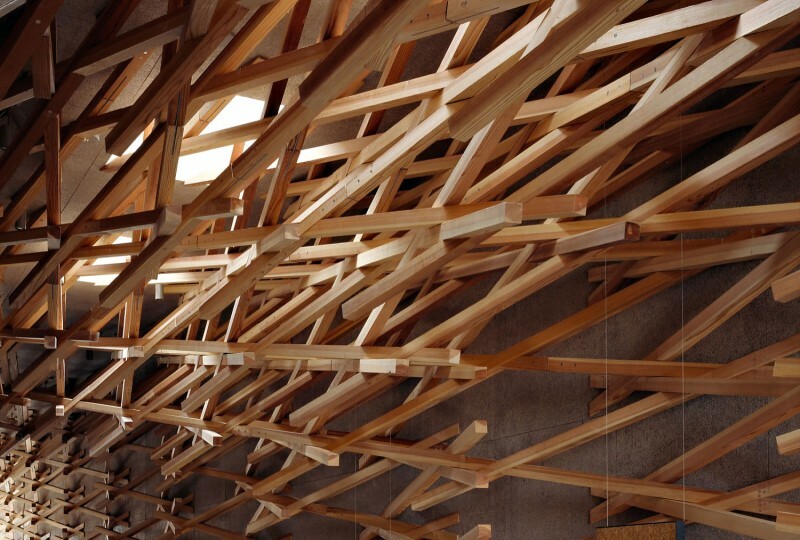 We had experimented the weaving of sticks for the project of Chidori and GC Prostho Museum Research Center, and this time we tried the diagonal weaving in order to bring in a sense of direction and fluidity. 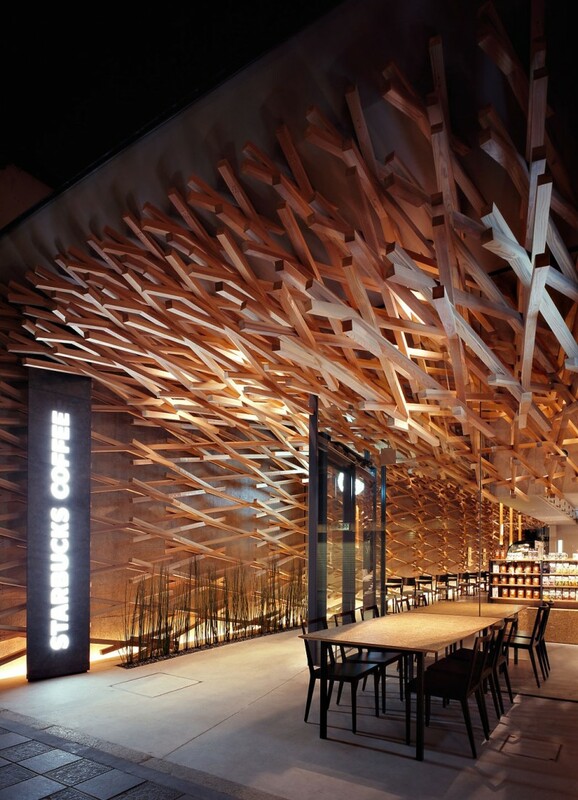 Three sticks are joined at one point in Chidori and GC, while in Starbucks four steps come to one point because of the diagonal – a more complicated joint.